Epic Reads is letting its authors take over its blog during the holidays, and they asked me to kick the week off! 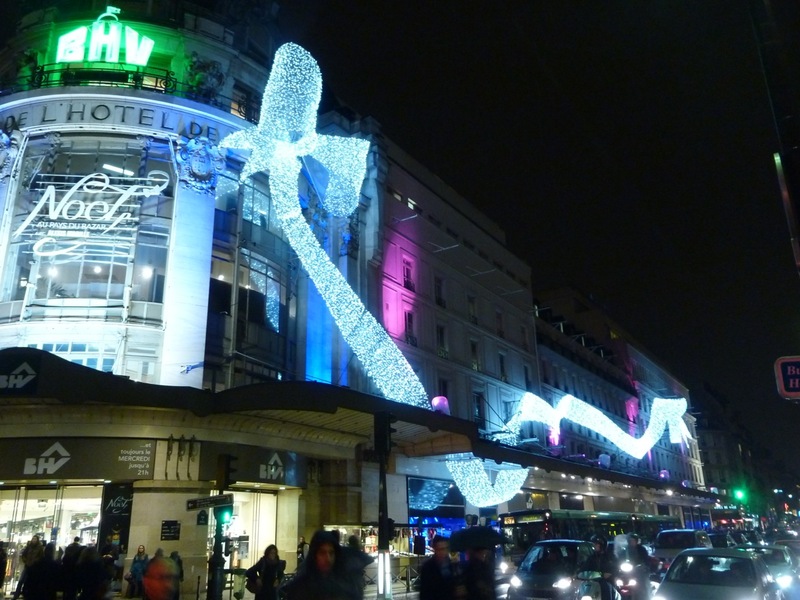 I chose to give a guided tour of Paris’s Christmas lights, and also chose a special Paris-related gift that you can win if you leave a comment on EpicReads page. Head on over to see it here. In case you’d been wondering why I’ve been on complete internet blackout this week, I am WORKING. Hard. But not in one of my usual batcaves. This time I’m on a 5-day research related road-trip. 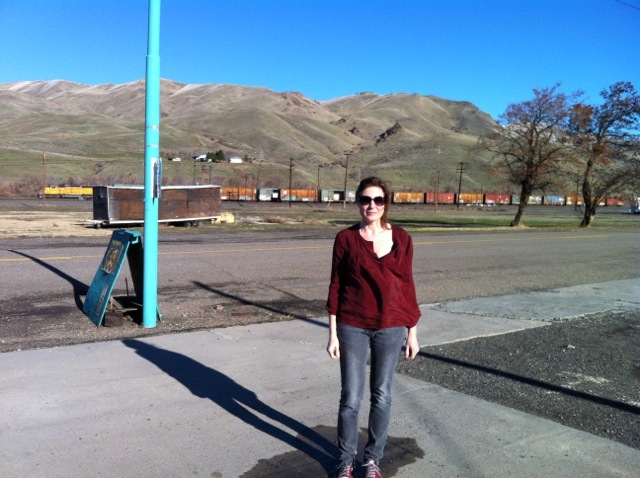 And the first person who guesses the closest town to where I am in the photo above wins a hardback U.S. copy of UNTIL I DIE. Since I’m flying back to Paris on Sunday/Monday, this will be CONTEST MONDAY, and I’ll announce the winner on Tuesday, 10am Paris time. One entry each, leave your guess below. International, as usual. Today I have the pleasure of hosting AE Rought on today’s CONTEST MONDAY. 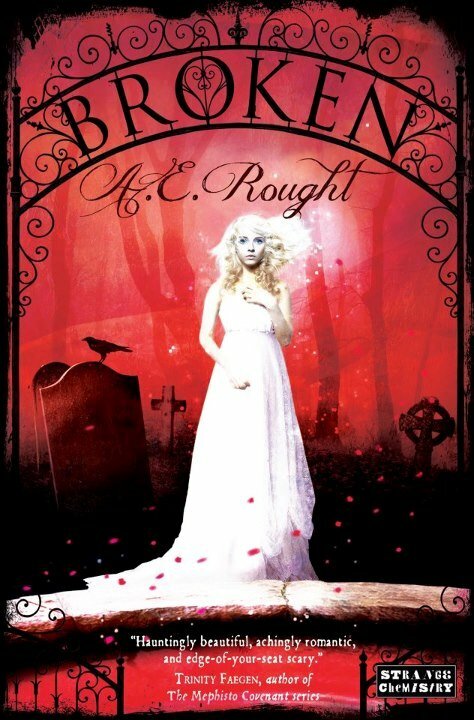 And up for grabs is an ARC of her upcoming book BROKEN, released in January by Strange Chemistry. “A string of suspicious deaths near a small Michigan town ends with a fall that claims the life of Emma Gentry’s boyfriend, Daniel. Emma is broken, a hollow shell mechanically moving through her days. She and Daniel had been made for each other, complete only when they were together. Now she restlessly wanders the town in the late Fall gloom, haunting the cemetery and its white-marbled tombs, feeling Daniel everywhere, his specter in the moonlight and the fog. Intrigued? Well all you have to do to be eligible for the ARC of BROKEN is follow Ann on FB and Twitter, and then tell me below in the comments that you did both. Ann approved of my regular “international” rule, so is ready to send the book anywhere in the world. We’ll do a 24-hour time limit, but since I will be in an airplane in exactly 24 hours, I’m going to let Ann announce the winner here in the comments. Scan the comments below for Ann’s announcement of the winner. And…GO! 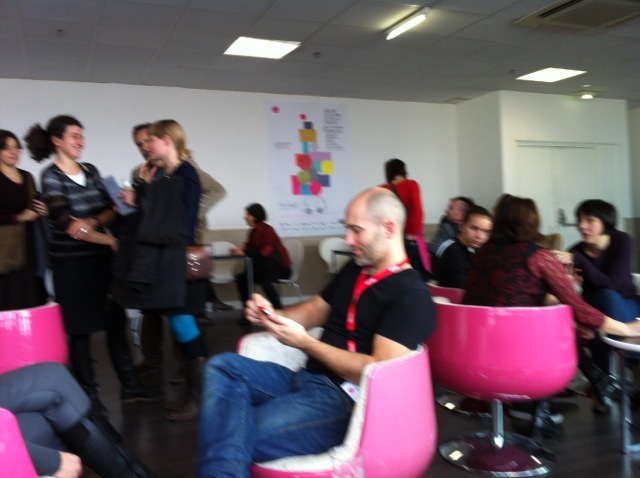 Here I am at the opening night cocktail party. Note...coat is off because it is BOILING in the convention center. 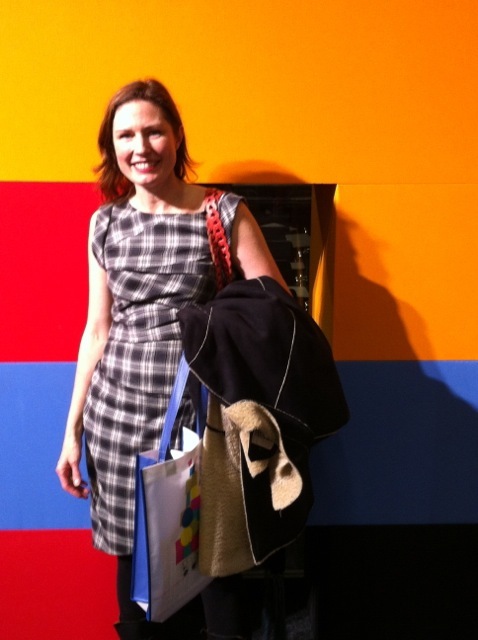 My date was a very cute politics professor from Canada who I met at PAF. 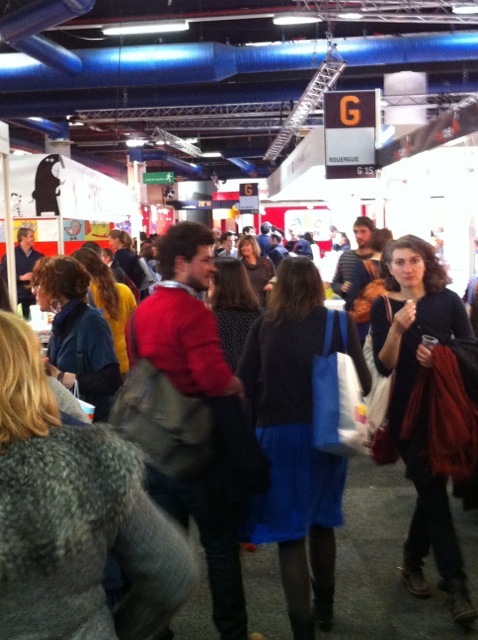 A view of a tiny itsy bitsy corner of one floor of the book fair. 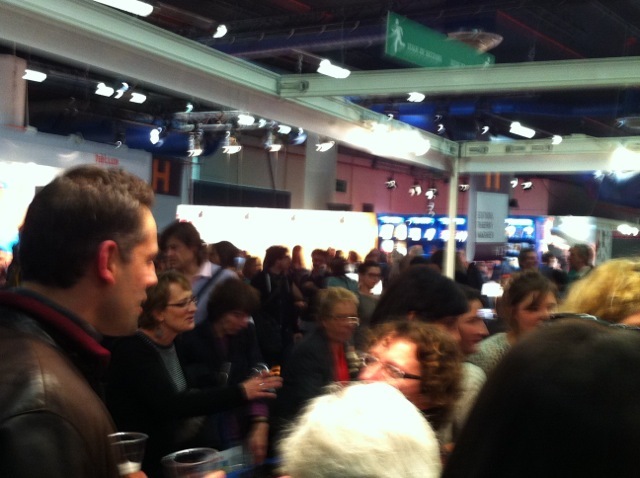 Opening night cocktail party madness. 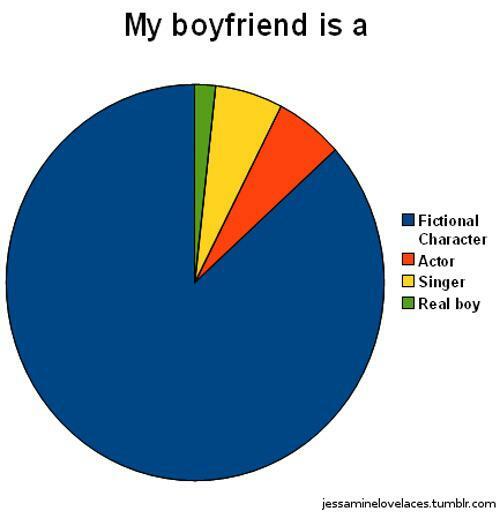 Again...just one tiny corner. Best part of the party was when some random woman came up and gave my date enthusiastic cheek-kisses and then realized she didn't know him from Adam. Dinner with my editors Chloe Moncomble and Anne Blanchard, my translator Marie Cambolieu, and writers Malorie Blackman and Amelie Sarn. Did I remember to take a photo of them? No. 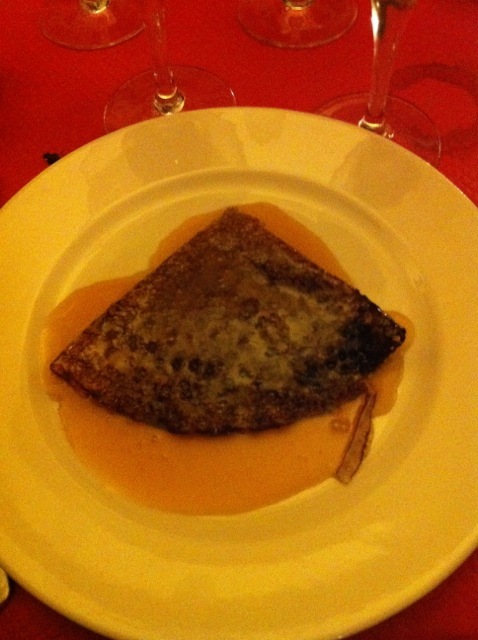 I took a photo of my eggplant-cardamom crepe instead. Did I mention how excruciatingly hot it was? I was in a sleeveless dress and I was sweating. 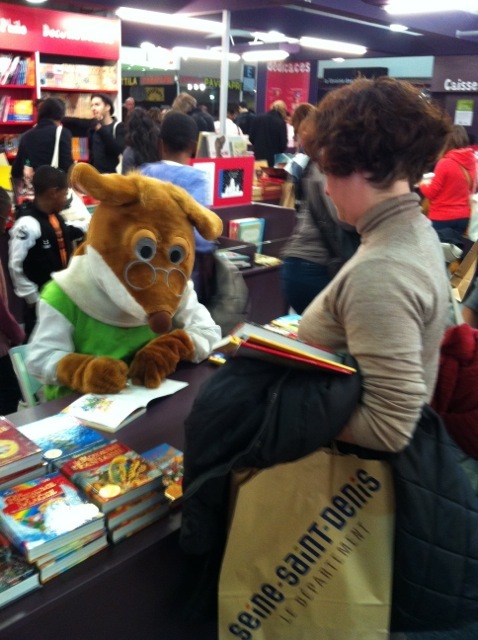 The poor guy who had to sign books wearing the mouse suit should have been given an award or something. Like a knighthood. 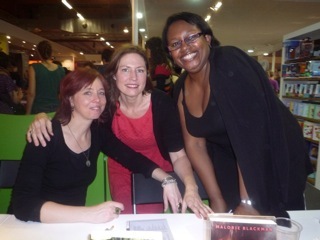 Amelie Sarn, my editor Chloe Moncomble, and Malorie Blackman before our signing. 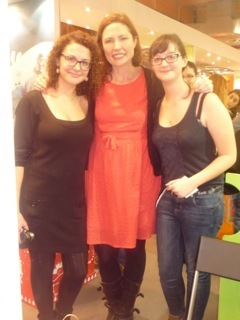 Amelie, me and Malorie before our signing. 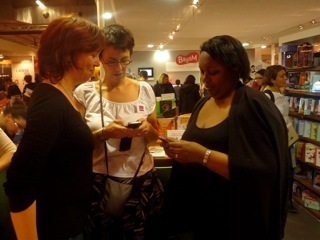 Two of my French readers, Morgane and Blandine at the signing. 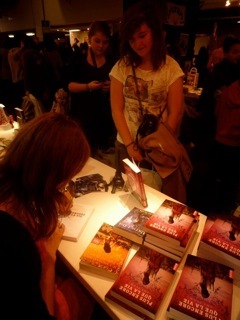 Morgane is the one who did the awesome fingernail art in my ARC contest. 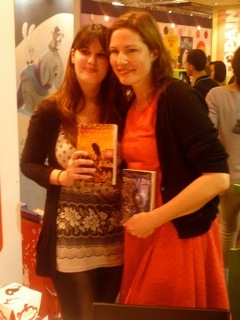 Me with French fan Laetitia who I already loved for coming to all my signings, but love even more now because she brought me chocolate! 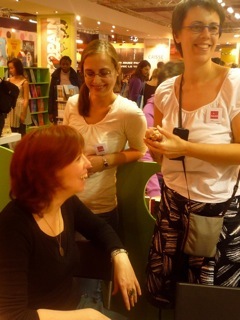 I heart my readers and my French publishing team at Milan Jeunesse/Macadam!